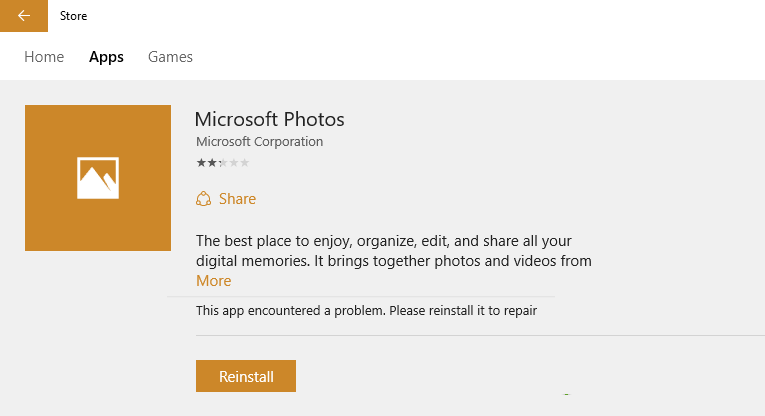 If someone visits the app page in windows 10 store, he encounters a message sometimes which says ‘This app encountered a problem. Please reinstall it to repair‘. But, the problem is when you click on the reinstall button, the same message keep coming again and again.Now, its very frustrating to win 10 users. But, there is a little tweak with which you can resolve this error. Just follow simple steps given in this post to fix this. 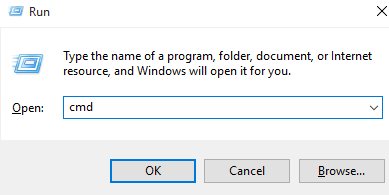 Step 1 – Press windows key + r to open run command box. Now, type cmd in it. Step 2 – Now, once the Black screen of CMD comes up, just type wsreset.exe in it and press enter. Step 3 – Now, start the store app again and then click again the reinstall button. The re-installation process will continue without any problem. This will not work for me. I still get install error.